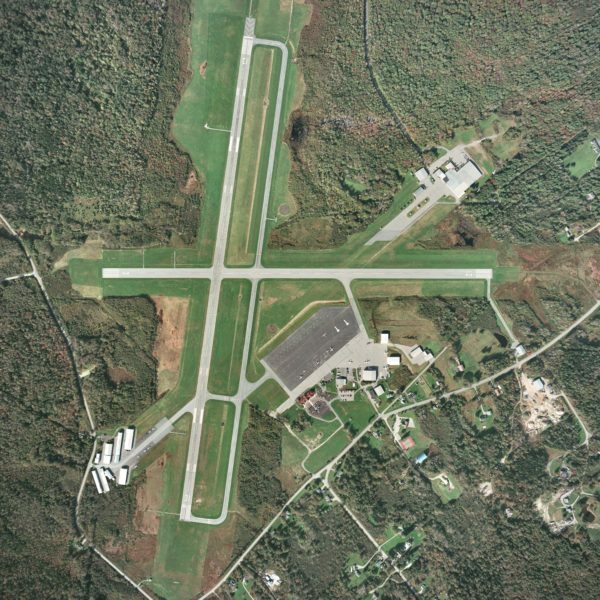 An aerial photograph of the Knox County Regional Airport in Owls Head. Regional Airport terminal in Owls Head, ME. Brad Madeira, manager of Hancock County-Bar Harbor Airport in Trenton. TRENTON, Maine — Four small airports in Maine could see a drastic reduction in their passenger flight service if President Trump eliminates a subsidy program that funnels millions of dollars to Maine each year. The federal Essential Air Service program, the Washington Post reported Thursday, is one of nearly 50 programs that would be shelved should the president’s budget be approved as is. “If the Essential Air Service program ceased to exist, I think it’s highly unlikely we would have a year-round carrier here,” Brad Madeira, manager of Bar Harbor Airport in Trenton, said Thursday. 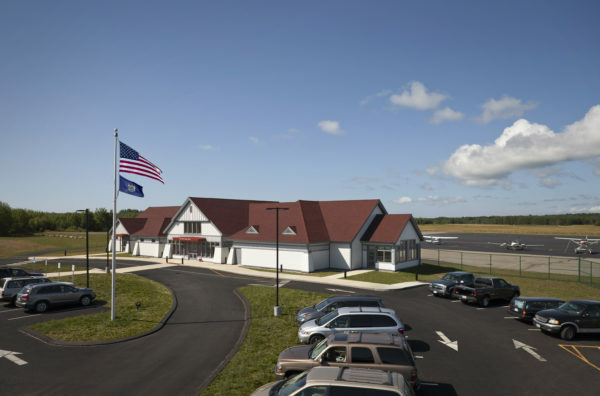 Knox County Regional Airport in Owls Head, Bar Harbor Airport in Trenton, Northern Maine Regional Airport in Presque Isle and Augusta State Airport have passenger flight service contracts that this year are being subsidized with approximately $10 million in total EAS funding. Federal funding through the U.S. Department of Transportation’s Essential Air Service program is siphoned to individual airlines as a way to incentivize them to do business at smaller, more rural airports. The program was created in the late 1970s, when the industry was more heavily regulated, to allow airlines autonomy to choose which locations to serve. About 110 airports across the country utilize the EAS program. 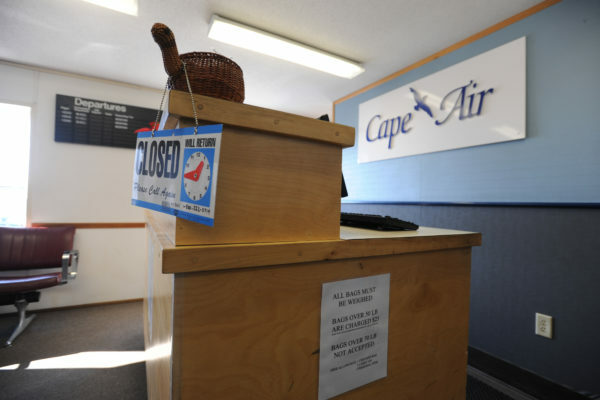 Cape Air has contracts to serve Augusta, Rockland and Bar Harbor year round. Pen Air has a contract to serve Presque Isle year round and to serve Bar Harbor in the summer, when seasonal traffic to and from Mount Desert Island increases. The Presque Isle and Bar Harbor airports are served by 33-seat aircrafts. Bar Harbor, the only EAS subsidized airport in the state to offer two airlines, also is served by 9-seat planes. John Guimond, manager of the Augusta airport, confirmed Thursday that Cape Air, which flies 9-seat planes, receives about $2 million in subsidies for each year of its passenger service contract with the airport, which is due to expire in 2018. Knox County Regional Airport Manager Jeff Northgraves couldn’t be reached by phone, but according to U.S. DOT data from February, Cape Air receives another $2 million in annual subsidies each year for providing passenger service to the Owls Head airport. Its four-year contract with the Knox County airport runs from 2014-2018. Madeira said that without the EAS program, it would be relatively easier for his airport to support an airline in the summer, at the height of tourism season, but it would be a “risk” for a carrier to service the airport year-round. “If that happened, airports like this one — our level of service would change dramatically,” Madeira said of the loss of EAS-subsidized service. Right now the EAS program “protects” airlines and “essentially hedges their risk, so they can know that they’re going to collect a base amount,” even if business is bad, he said. The Bar Harbor airport boarded 8,417 passengers in 2016. Last summer, both airlines signed operating contracts with the airport to ensure continued passenger service — Cape Air for four years and Pen Air for two years, Madeira said. The airport‘s operations benefit from about $934,000 in EAS subsidies to Pen Air during its contract, and about $7.2 million total to Cape Air during its four-year contract, he said. While the threat is only hypothetical right now, if Trump were to actually cut the EAS program, with the airport’s proximity to the Bangor International Airport — about an hour’s drive — the potential change to a seasonal-only service wouldn’t be as devastating “to this market as it would be (to) Presque Isle,” Madeira said, which is more than a two-and-a-half hour drive from Bangor International Airport, which is the nearest air strip with regular passenger service. 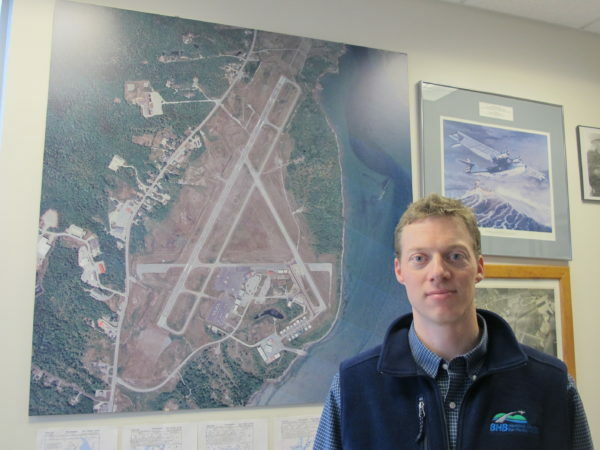 But Scott Wardwell, airport manager of the Northern Maine Regional Airport in Presque Isle, said he’s seen posturing before from past administrations threatening to cut the EAS program, and isn’t entirely convinced it will happen, or at least he hopes it won’t. The airport in Presque Isle, which signed a two-year contract last year with Pen Air to offer year-round service, benefits from the largest EAS subsidy at any airport in the lower 48 states — about $5.1 million in the first year of the contract and $5.2 million in the second year, Wardwell said Friday. Last year, the Presque Isle airport boarded about 13,000 passengers. The airport, which began using the EAS program in 2001, receives the largest EAS subsidy due to its distance from the nearest mid-sized or large-hub airport, which in this case is Boston’s Logan International Airport, he added — about a six-hour drive away. Wardwell said the objective should be for airports like his to graduate from the EAS subsidy program and to function independently. But the reality is that the airline industry is still heavily regulated, which makes it difficult for smaller airports to have any clout against larger or mid-sized airports, he said. A more reasonable goal would be to figure out why smaller airports need to subsist on the federal funds for extended periods of time in the first place, according to Wardwell.